The wonderful people at MunchPak sent me this complimentary box for review, and I was so looking forward to it. MunchPak has three sizes to choose from, ranging from the Mini (5+ snacks) for $9.95, the Original (10+ snacks) for $19.95, and the Family Pak (20+ snacks) for $39.95. Your subscription can be weekly, biweekly, or monthly, so you can get as many snacks as you want. It can also be customized further based on what types of snacks you want ($1+ for each variable) or if you want coffee/tea ($5+). The box I was sent is the mini box and I received six snacks to try out! 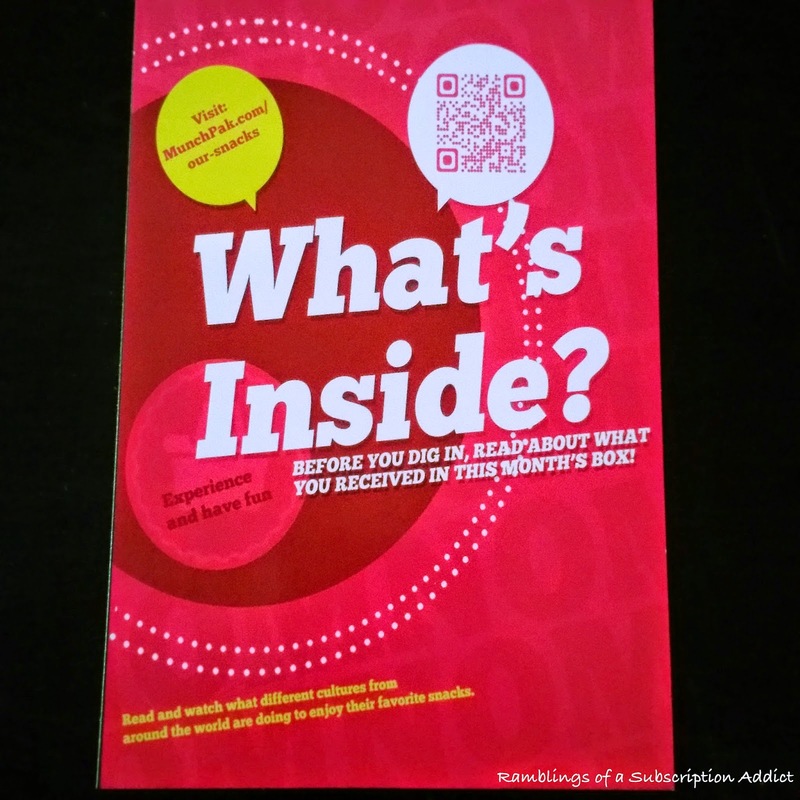 A nice card included that directs you to see what was included in this month's box! 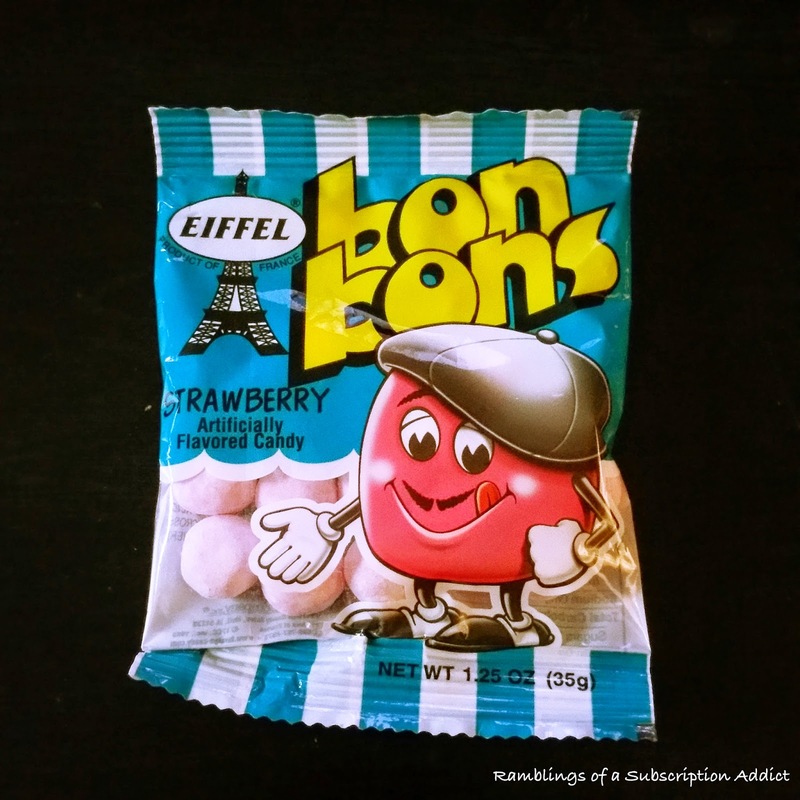 Eiffel Bon Bons (Strawberry) (France) - I had a feeling I would love these as soon as I saw the packaging. These come in all kinds of fruit flavors and I would love to try them after these. They are chewy and sweet enough to be candy, but not so sweet that it tastes fake. 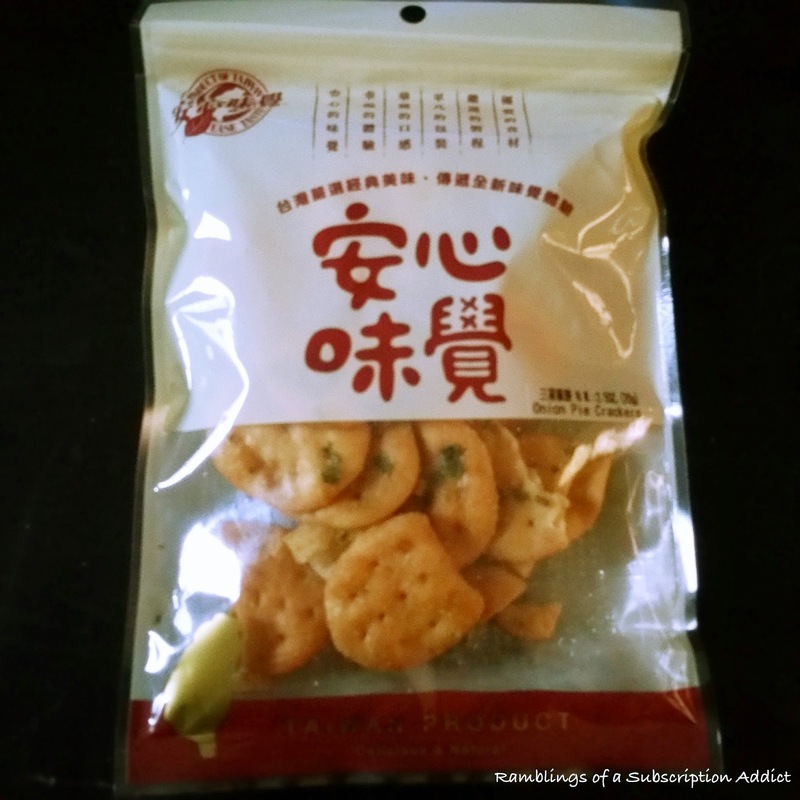 Ease Taste Onion Pie Crackers (Taiwan) - Dearest husband liked these a lot, but I wasn't a huge fan. They are really hard and remind me of old Funyuns. If you like that kind of onion-y taste, I'm sure you'll like them. They just aren't my cup of tea. 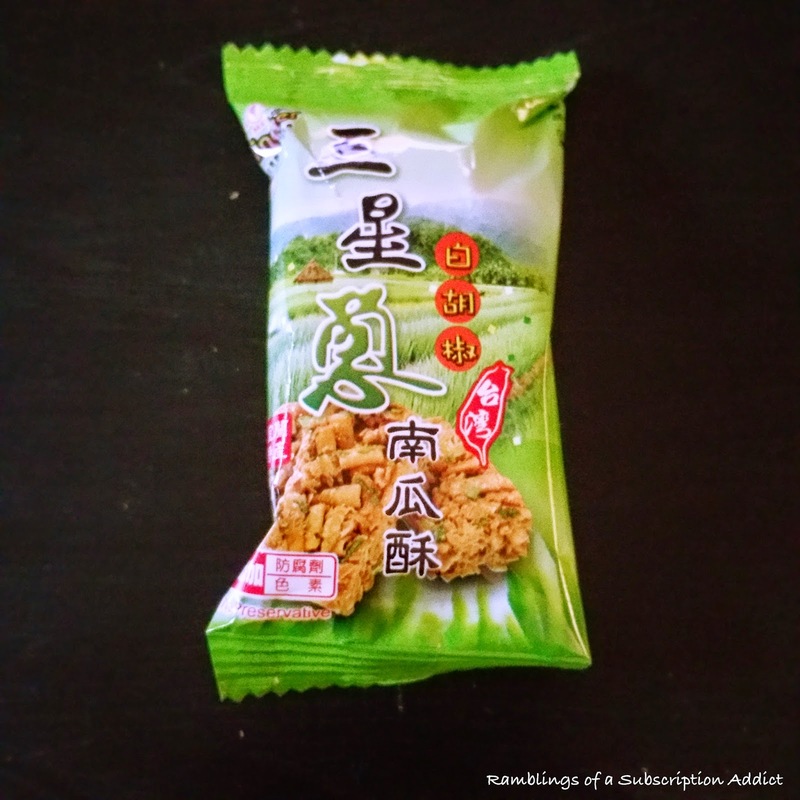 Ming Chi Sunshin Scallion Pumpkin Cake (Taiwan) - This is made up of so many flavors, I'm not sure where to start. I'm not a fan of pumpkin, so it's wasted on me to have something flavored with that. 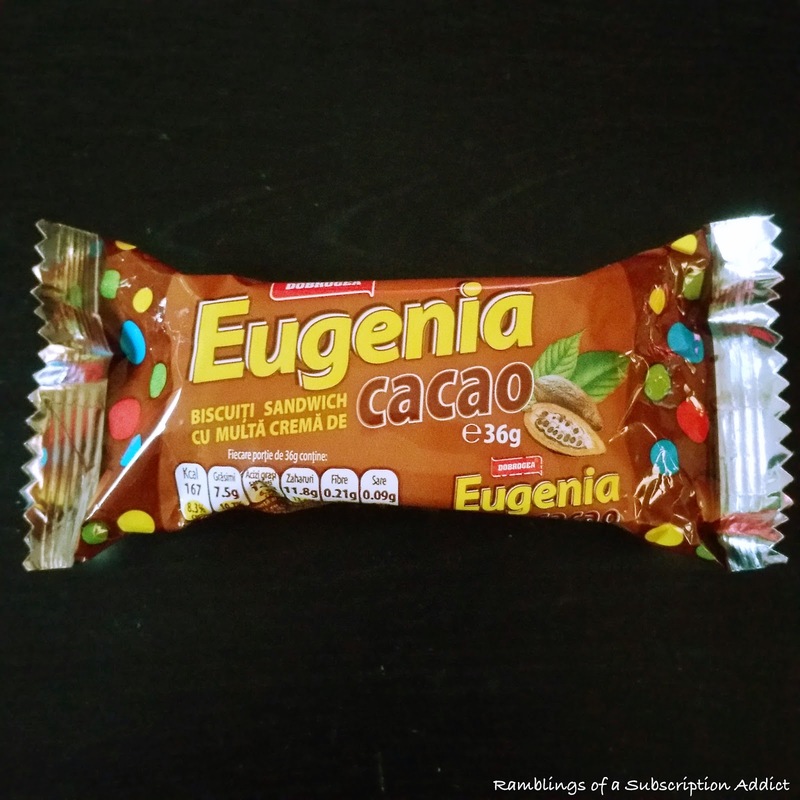 Dorbrogea Eugenia (Romania) - Approved by both myself and my husband. It's chocolate cookies with chocolate cream in it, it's going to be a win. I love chocolate cookies like this, but a lot are so sweet and a little hard to handle. These were sweet but not so bad that I only wanted to eat a little bit. I would have eaten a whole case of these if I had them. 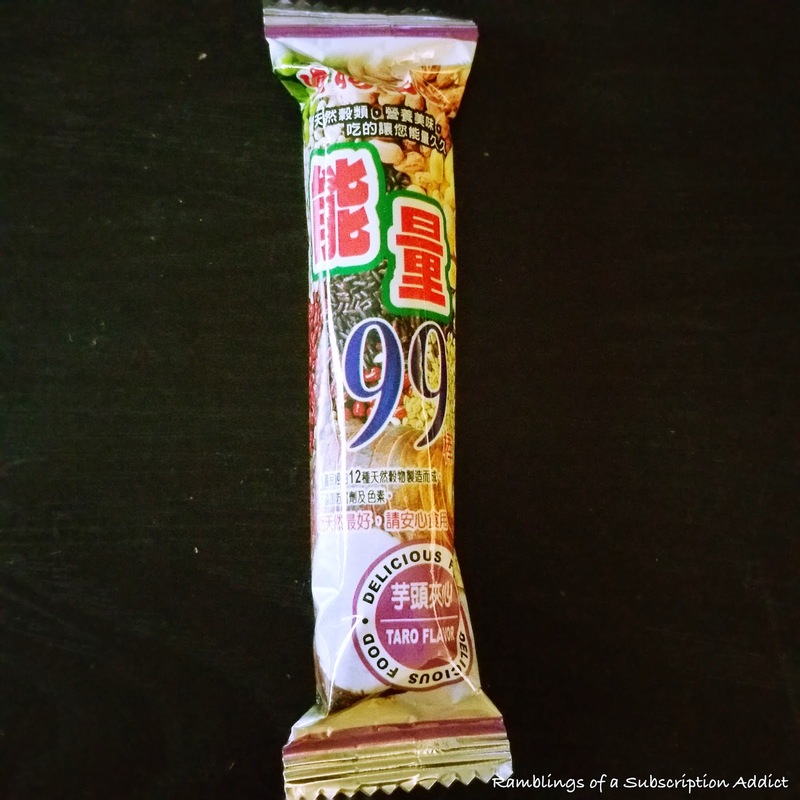 Pei Tien Energy 99 Sticks (Taiwan) - I like how this is made for natural energy and that it's made with so many cereals (12). I looked up some of the ingredients and it is full of so many nutrients that you can't feel bad eating it. It's a little too crunchy for me, but that's a personal preference. 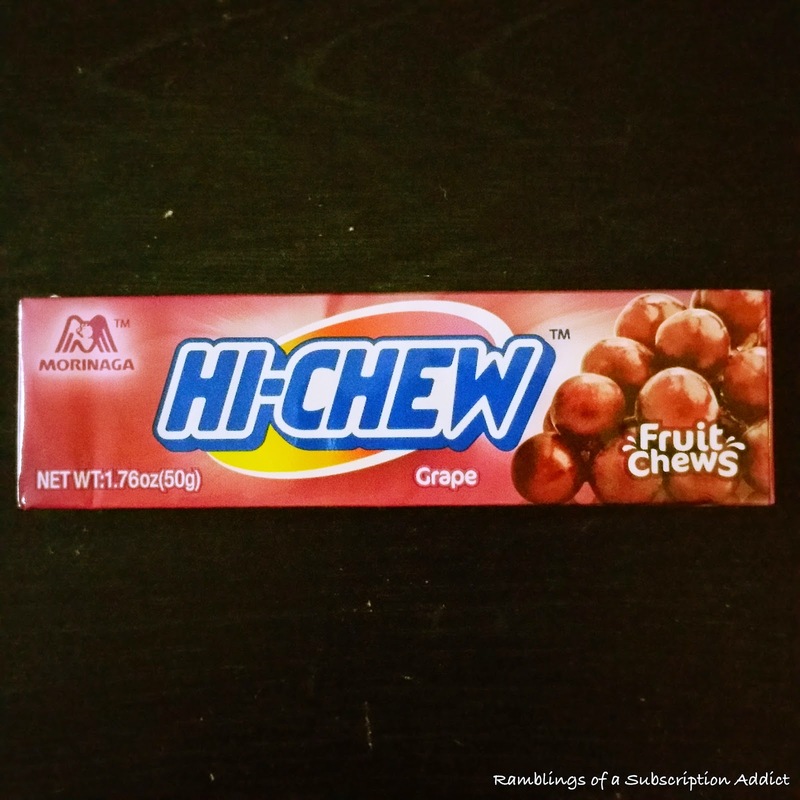 Hi-Chew Fruit Chews (Grape) (Japan) - Any other flavor of these and I would have loved them. Since I was little, I have never been a fan of grape flavored things. It's not a bad product, it's just not a flavor that I can fully appreciate. I didn't do a pricing breakdown on this, but it is a great box to try out. 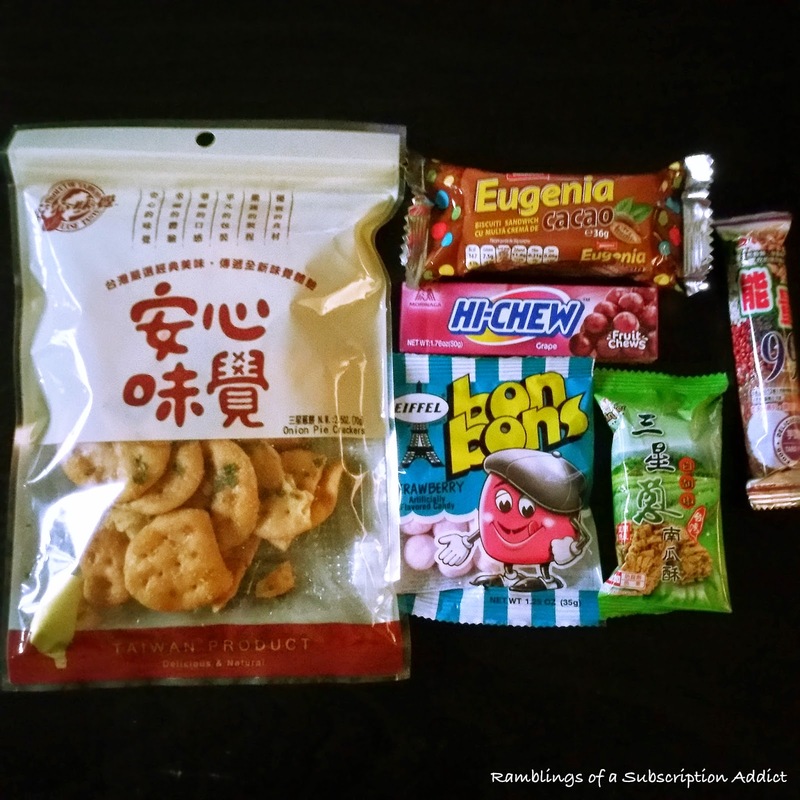 I love how you get to try snacks from all over the world, and it shows you just how much our snacks are sweetened and overly processed. If you are interested, I suggest heading over to MunchPak's website to customize a box for you. If you do, let me know what you think! This complimentary box was sent to me in exchange for a review. All opinions are my own.